"No more Pain for you darling. You fought a courageous..."
"This is so hard. We have all lost such a wonderful lady. I..."
"To all of Cindy's family and friends! Cindy was always a..."
"I am going to miss her. She was like my second mother..."
"I always admired the way you fought off this beast. 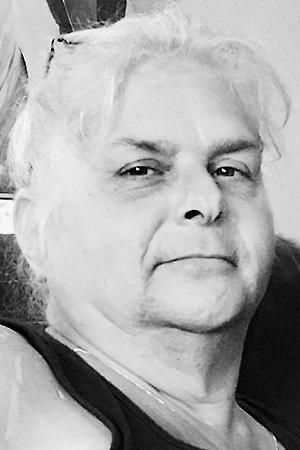 Stayed..."
ALASKA/MADISON - Cindy M. (Poulin) Horman, 54, of Alaska, formerly of Madison, passed away Sept. 2, 2018, at Redington-Fairview General Hospital in Skowhegan after fighting a tough battle to the end and is now at peace. She was born July 4, 1964, in Southington, Conn., the daughter of Albert J. And Nancy A. (Douglas) Poulin. She loved all of her family from Maine and Alaska. She is survived by her husband, David Horman of Fairbanks, Alaska; son, whom she dedicated her life to, Joseph A. Keene; precious grandson, who she loved more than this world, Joey A. Keene of Skowhegan; sister, Linda Salisbury of Bristol, Conn.; brother, Paul Poulin and companion Shirley Lowe of Madison; sister, Tina Poulin and companion Reno Cyr Sr. of Skowhegan; sister, Tammy Giguere and husband Scott of Anson; she loved all her nieces and nephews, they were her pride and joy. Cindy had many great friends, but one she grew close to is Maryann of Madison (they were "two peas in a pod"). A special thanks to Sandra and all of her hospice team. We couldn't have done it without you. There will not be a service at this time. A graveside service will be held at the convenience of the family. Arrangements under the direction and care of Dan & Scott's Cremation & Funeral Service, 445 Waterville Road, Skowhegan, Maine 04976.